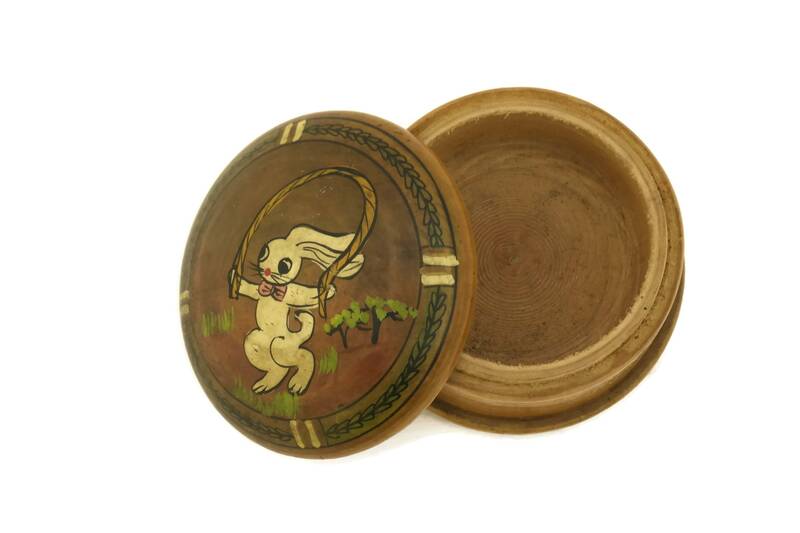 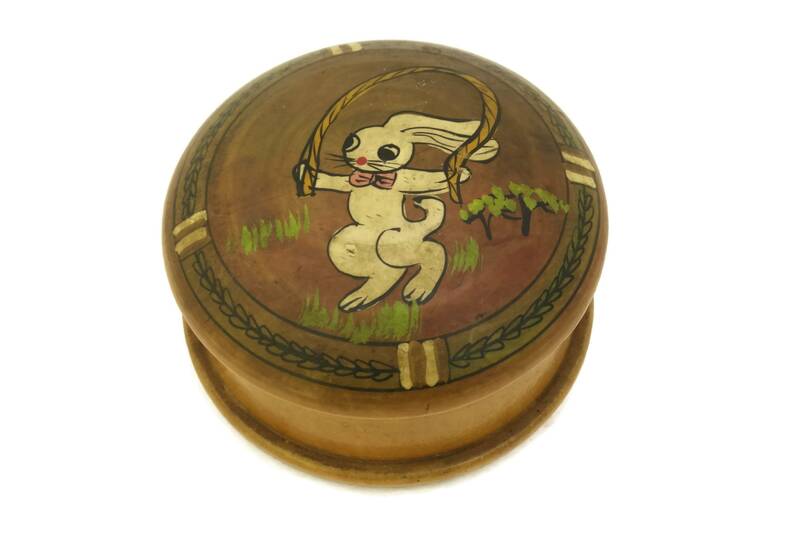 An adorable hand painted jewelry trinket box with a bunny rabbit dating to the 1950s. 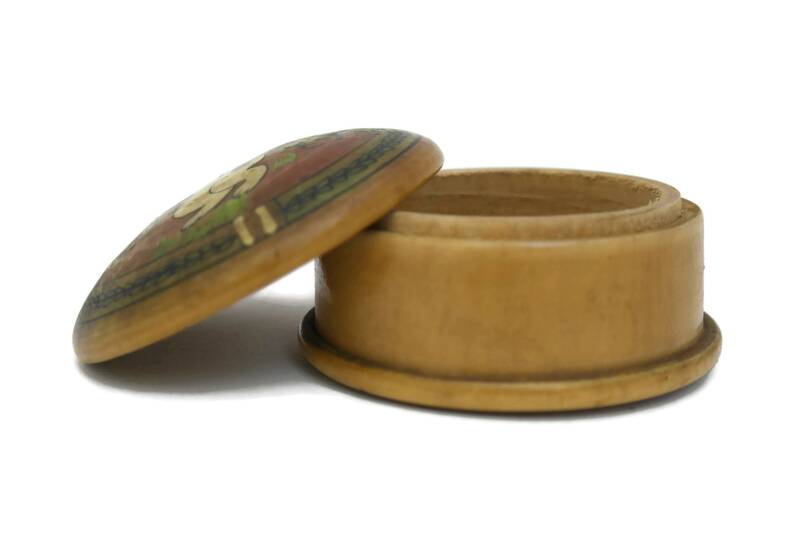 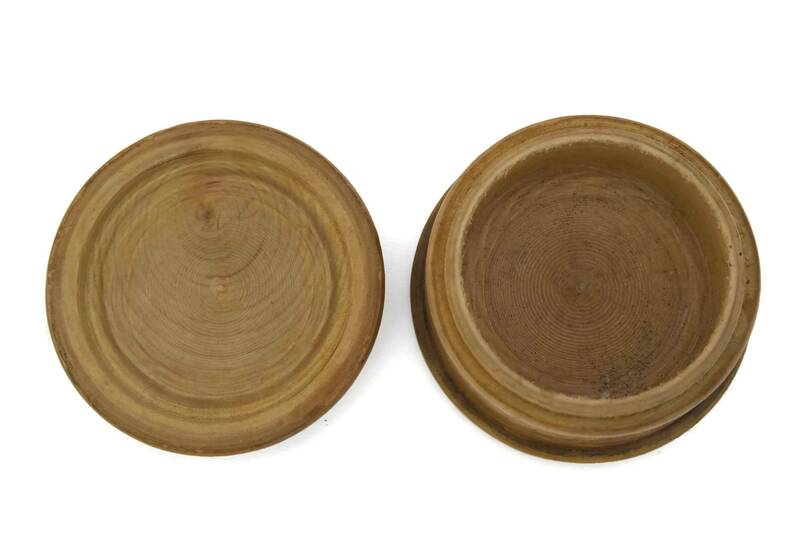 The vintage French girl's ring dish has been crafted from hand-turned wood. 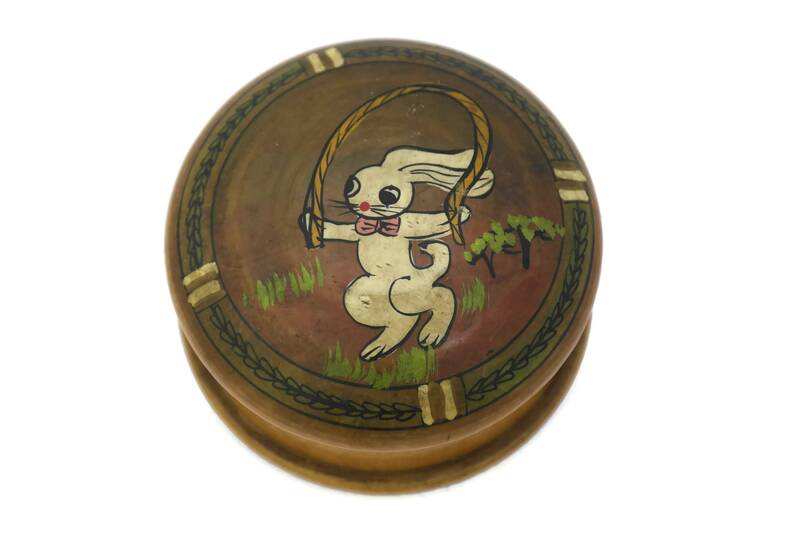 It features a round wooden bowl with a lid that has been decorated with a charming folk art image of a white bunny rabbit skipping. 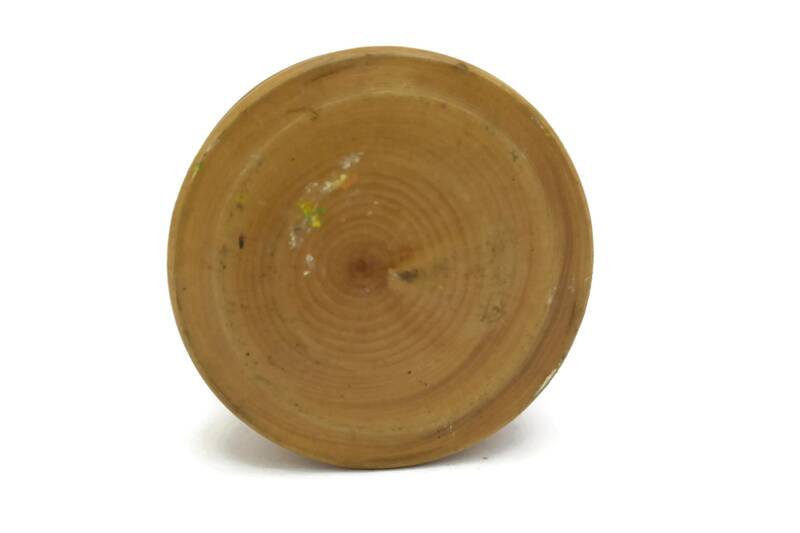 It will make a great addition to a woodland or a girl's room decor. 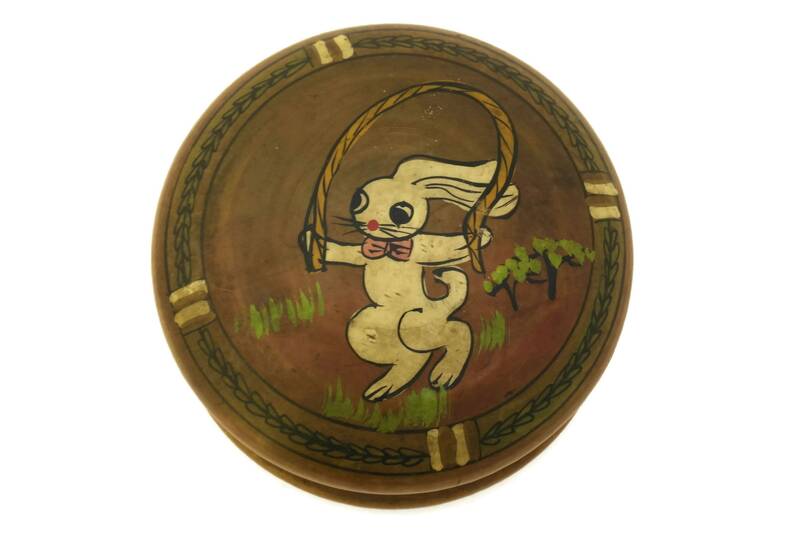 There is no visible signature. 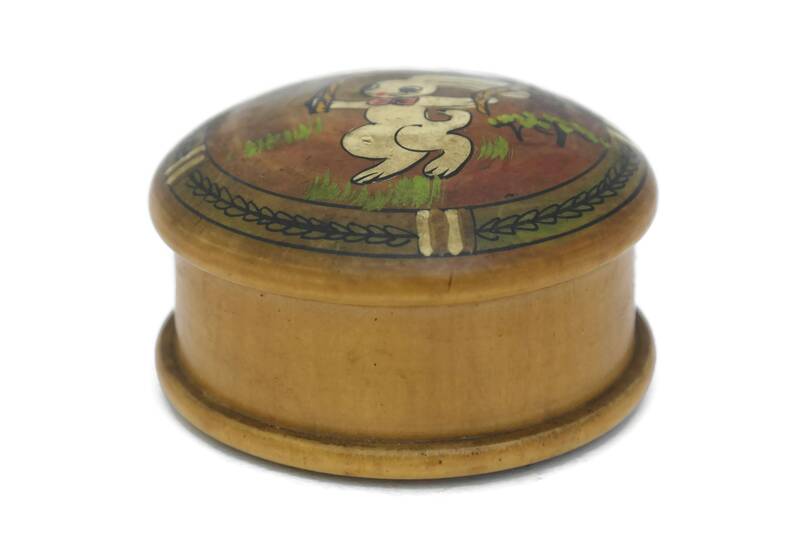 3 3/4" in diameter x 2" Tall (9,5 cm x 5 cm). 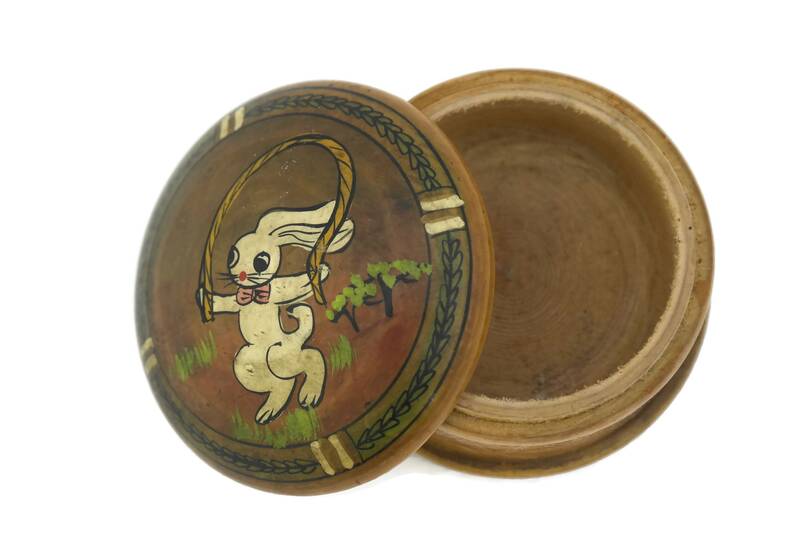 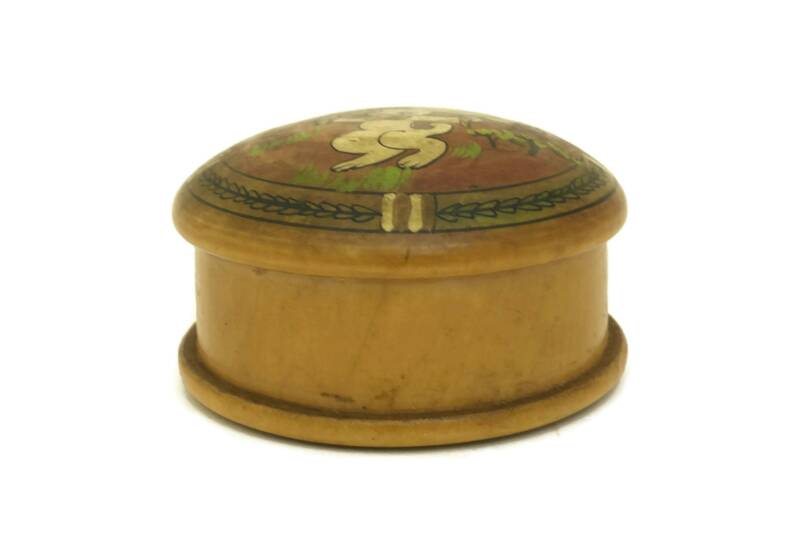 The wooden jewelry box is in very good condition with some light signs of age and wear including patina and some marks to the hand painted illustration.